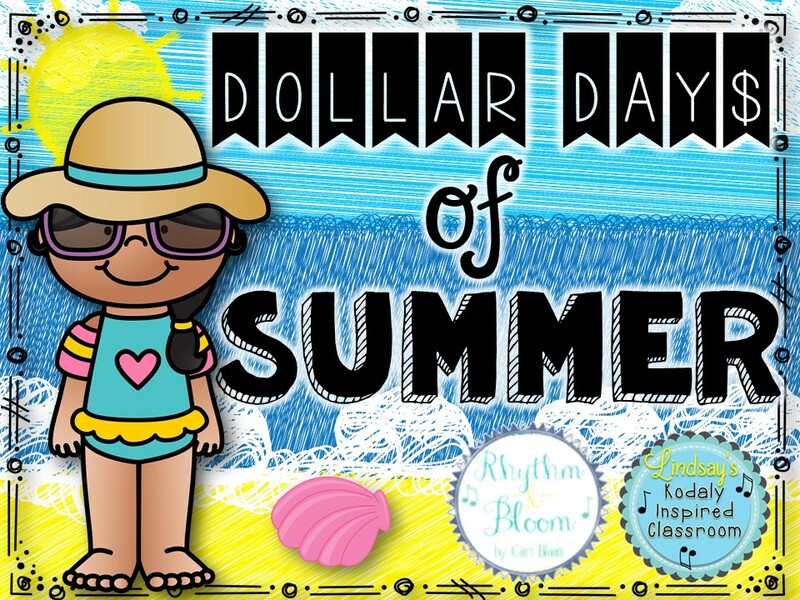 Thanks for joining Cori from Rhythm and Bloom and I for week 4 of Dollar Day$ of Summer. You can check in each week on my blog or on our Facebook pages (Rhythm and Bloom and Lindsay's Kodaly Inpsired Classroom) to see what will be the dollar deal of the week. This is a great way to stock up for next and snag some great deals! 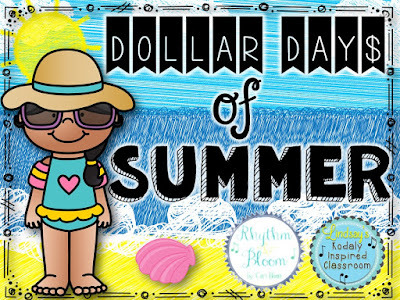 If you missed the excitement last week, when you visit my store, you will see a "Dollar Day$ of Summer" banner. If you click on the banner, you will see the item in my store that is discounted to $1 for that week! You can find all the participating deals by visiting my blog every Sunday/Monday of the summer. I will have a linky party at the bottom of my blog post with links to all the $1 deals. This week, my $1 deal is Wee Willie Winkie Vocal Exploration and Story Cards. I use this with my preschool and kindergarten classes. It includes illustrations for the rhyme in full color, some color, and black and white. You could project these, print these, put the rhythm in order, etc. It also includes some vocal exploration pathways, which I feel the rhyme really lends itself to. I've also included options for the kids to draw their own on the board. Just project the pages and invite new students up to draw for each slide. I've included the melody I know with the song, but I am not sure on a source or if it is even a folk song. It may just be a rhyme, but you can do whatever feels most authentic to you, sing or speak it! 1) Choose one item from your store and add a link below. You can link directly to the item on TPT or you can write a blog post about your awesome resource and link up with the blog post address. You do not have to have a blog to participate. 2) There will be 10 open spots each week and they are first come, first serve. 3) If you link up, please share a link to my blog post with the link up on your social media to help others find out about these incredible deals!